As I've read this book in English, I am going to write also in English my short review, just for practising a little my writing. This book has been a success last year in EE.UU and it has been already published in Spanish with a very different title: Criadas y Señoras. But I got this copy in English and wanted to make an effort. 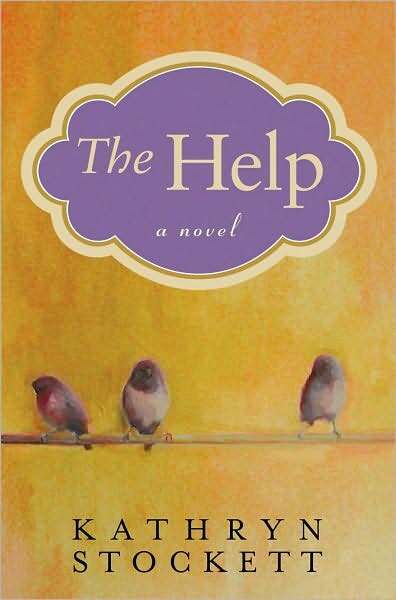 The help deals with a young woman wanting to write a book. That was for me a little bit disgusting because once again it is a novel about someone writing a novel, like so many others (La sociedad literaria y el pastel..., p. ej.). It also deals with black women maids in white ladies' houses in Mississipi in the sixties. It remembered me of La sociedad literaria... but in EEUU, in 1964 and talking on racial segregation. Sometimes the book was predictable but it surprised me many other times. I read it easily, like a sip of water.